Can the trees recover? Any horticulturalists out there who can help? I’m no expert, just relying on experience. I would pick several trees and start pruning back branches until I found green wood. Likely the smaller branches’ cambium later and sapwood were destroyed. If you leave these on the tree, they will contribute to drying out any surviving wood and weaken any living parts. I suspect the roots and lower trunk may still be viable. Continue pruning back to old growth and, hopefully, green wood. You will lose several years’ worth of branch growth, but may yet save the tree. Hope this helps. Breaks my heart to see this loss. Thanks for sharing Rich. We will try peeling back the cambium on a few trees to see how severe the damage looks and go from there. 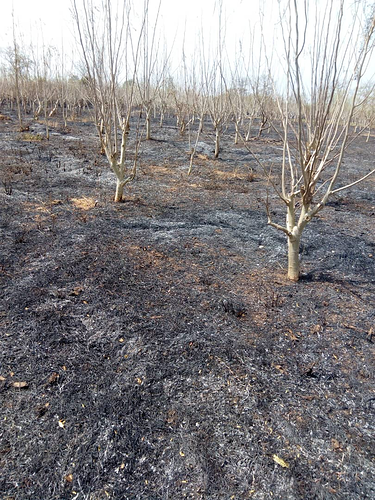 This happened a number of times to us in Cambodia as nearby corn stubble fields were burned to capture mice; our orchard was also burned in the process. I know how disappointing this can be and I’m sorry for your loss. Like Rich said, it depends on how deep the burn went, but most of our trees re-sprouted from the ground or from the first live wood on the trunk. There is hope! Thanks for sharing your experience, Holly. Did you mulch the trees in this picture? This is very sad development and we need to advocate against the practices. Hey Peter how are the Moringa trees doing? I believe there is hope. 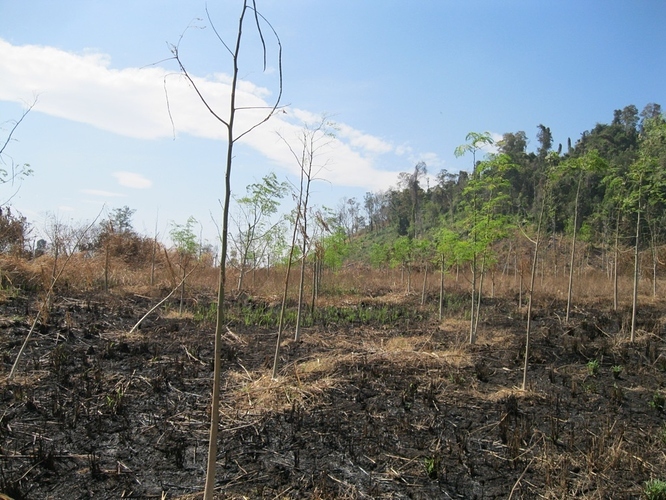 From everything I have ever read about Moringa, is that it does not produce wood that burns well. This actually is really good, as people in the developing world will not cut it for fire wood, but rather use the tree to its fullest humanitarian potential!! If you apply Jeevamrutha regularly things will turn back, how to prepare described below here. Some of the trees are sprouting shoots even though it has been a couple of months since any rain. An agronomist who visited pointed out that moringa tree roots are pretty unique and part of it almost looks like a tuber which helps provide nutrients/energy for the recovery. It’s also pretty amazing the potential for Moringa to mitigate in drought season starvation. If leaf powder and seeds are correctly processed and stored, it can last through drought season, preventing severe malnutrition for both people and animals. Also from what I’ve read, the tap root is extraordinary, and once connected with water, the trees will produce fresh leaf during drought season. As Moringa is half medicine half food, it’s a game changer for communities. Fascinating! 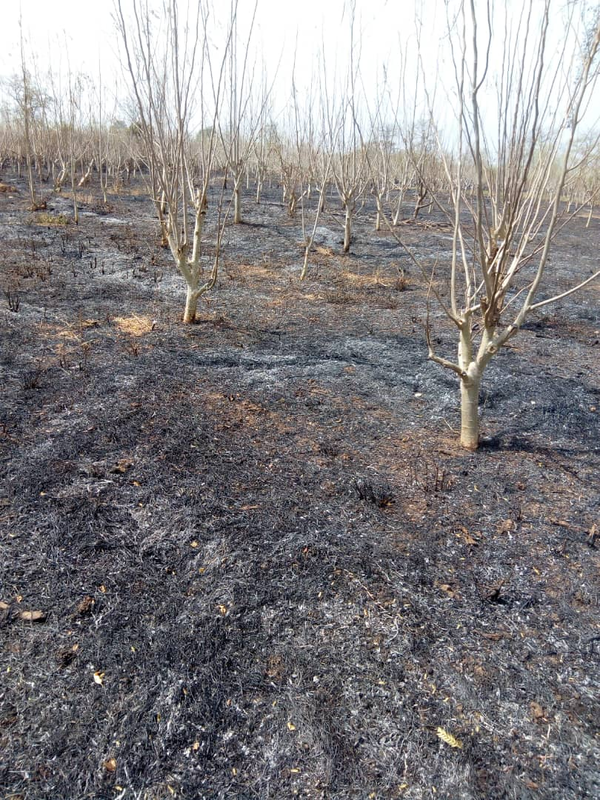 We had a similar experience where a quick grass fire burned through our moringa fields. Most of the trees re-sprouted. I think pruning helped.